iii presents a performance program in collaboration with transmediale and Spektrum, showing five performances utilizing self-made media apparatuses, instruments and instrumentations which draw on distinctly subjective and idiosyncratic technological origins. This performance evening is the second half of the program. The first two performances take place February 3rd at the HKW World Stage. The artists presented all carry their own uniquely idiosyncratic imaginations against world-wide tendencies towards a digital monotechnics dominated by unified standards of instruments, instrumentations and play. The artists’ work tap into lost media histories as much as they play out subconscious urges to imagine media materials in new, alien forms. These unusual dream devices realize themselves in the four dimensions of sound, image, space and the body. This the second of Wen Chin Fu’s investigations with sugar media. 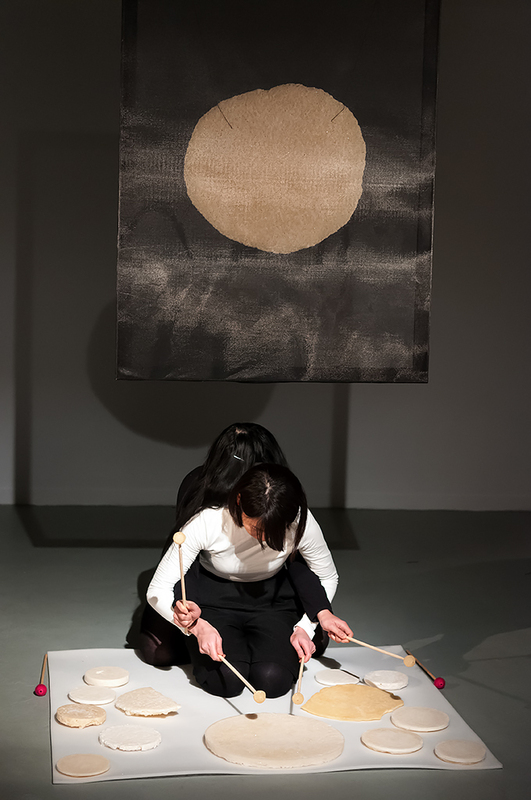 Her experiments began with an investigation of the acoustic properties of molded sugar during a residency in a former sugar refinery in Taiwan in 2015. The resulting resonant percussion instruments made of crystallized sugar have served as the basis for a number of deeply subtle and intimate performances. Etude No.2 for sugar instruments explores the process in the chemical reaction by which the sugar instruments take on solid form. In this performance multiple sugar instruments are electromechanically played until the point of self-destruction, while the live process of solidification and temperature changes are transformed into sound. 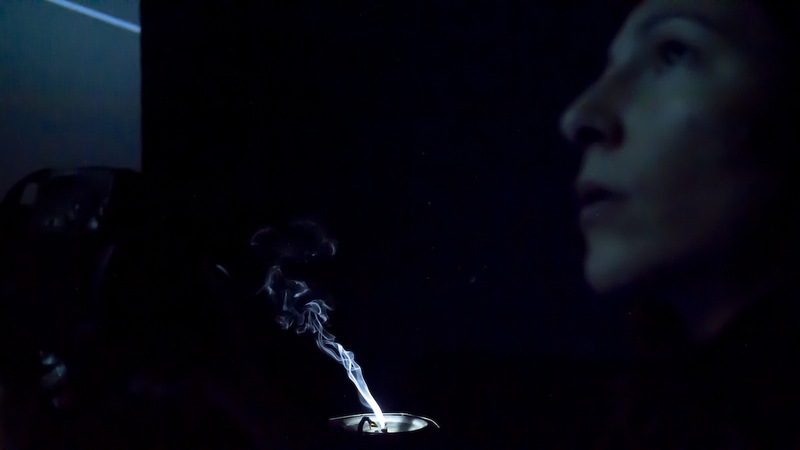 Transitory Presences is an audio-visual-olfactory performance using an instrument that entangles scent, sound and ephemeral silhouettes of smoke. The cymatic apparatus creates volatile spirals and semi irregular shapes, sculpted in the vapours of lighted incense, held and set in motion by a vibrating speaker membrane and illuminated by pulsating light that reacts to the dynamics of the sound. The sound-modulated smoke patterns create hypnotic projections accompanied by intense soundscapes. The performance is both intimate and spectacular as the projected patterns become increasingly abstract and alien. 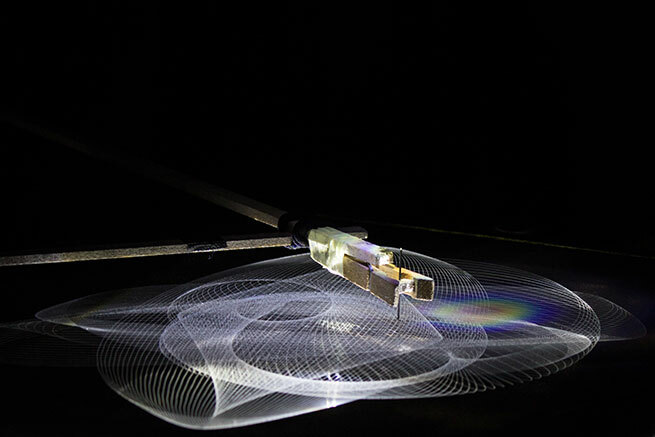 Nibiru is an audiovisual performance instrument constructed from simple, yet unstable handmade pendulum oscillators. The pendulums are activated by rhythmical body movements which then scratch complex curvilinear patterns into glass. Noises of instability and resistance in the apparatus are amplified and sound patterns are created by light sensitive speakers that scan the changing projected geometric line image. The patterns of light and sound potentially recall missile trajectories plotted by early wartime analog computing machines just as easily as they can invoke the cosmological trajectories of planets and galaxies.